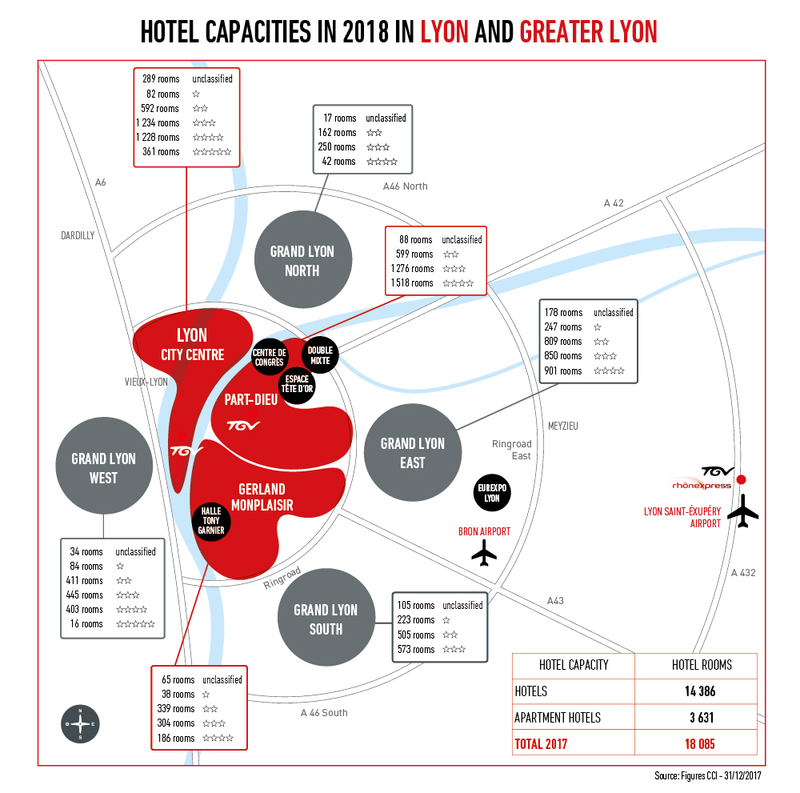 Lyon currently has more than 18,500 rooms and 21 hotel and aparthotel chains are represented in the city. Plans have been announced for an additional 1,000 rooms by 2020. One of the most prestigious projects will be in the Grand Hôtel-Dieu complex, inaugurated in 2018, where the Hotel Intercontinental***** will offer 118 luxury rooms and 25 suites. Also noteworthy is the Part-Dieu business district which, following the complete refurbishment of the 245-room RADISSON BLU hotel in 2016, will see the opening of a new, 170-room 4-star hotel in the enlarged and renovated Part-Dieu railway station (envisaged for 2022).